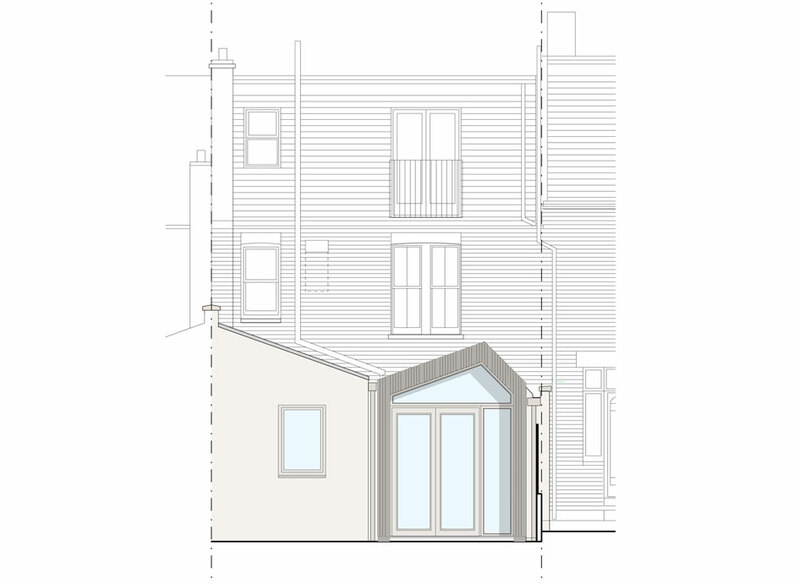 The clients on this project in Streatham wanted to retain the existing Edwardian features where possible while providing a sympathetic contemporary addition with an enlarged family kitchen and dining room that would suit their busy lifestyle. 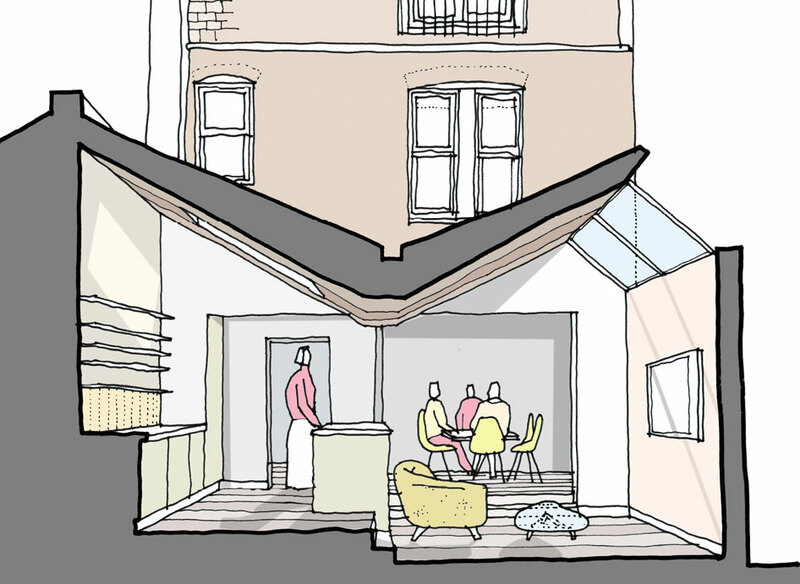 An infill extension mirrors the existing kitchen roof and slopes down towards the boundary to create an unusual ‘wing’ shape form that avoids this project looking like a typical rear extension. 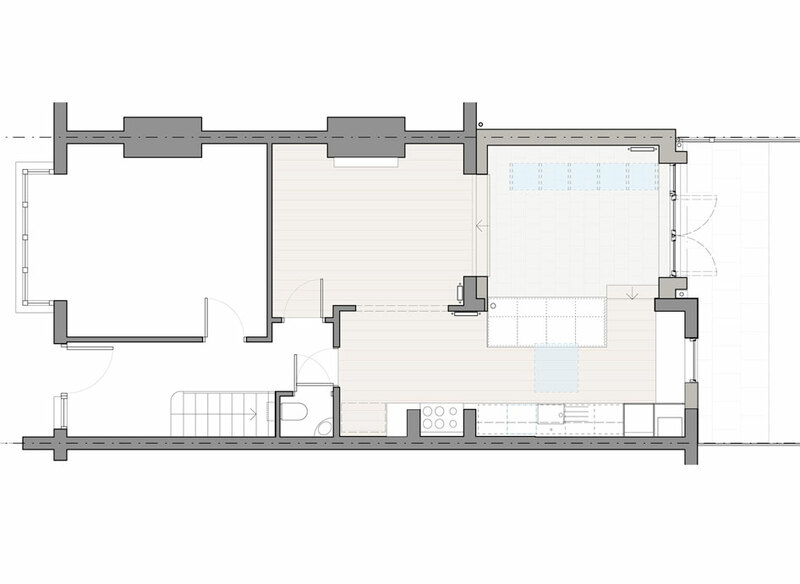 Internally, the ceiling follows the roof line to create a dynamic shaped open plan space. Generous expanses of glazing fill their home with natural light. External materials include breathable render, larch cladding, Scandinavian timber windows and a patent glazing roof light.